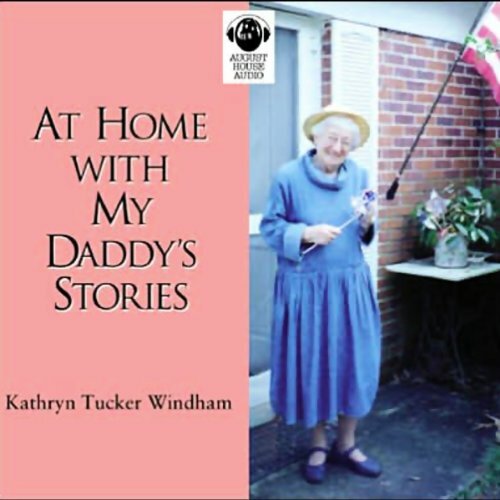 Award-winning storyteller Kathryn Tucker Windham shares a look back at her beginnings as a yarn-spinner. It all began with her father, an Alabama banker, who entertained her with his own tales. Windham's natural style and charming accent carry the listener back in time for an endearing glimpse at small-town life in the early twentieth century. She re-creates the Old South with memories of her family and friends, delights with tales of her teenaged adventures, and warms the heart with recollections of a special Christmas. Whether listeners grew up in small towns or just wish they did, all will treasure Windham's yarns. Lovingly, her father instilled in his daughter the gifts of keen observation and a facility for language that reward Ms. Windham's listeners with a unique story experience. (P)2002 August House Publishers, Inc. I hope there’s no such thing as wearing out an audiobook ! I have listened to this author’s audios so many times. Sadly, they’re all short but worth every dime to listen to her calm Southern voice tell of times long ago when she was growing up. Each has a theme of sorts. This is a tribute, of sorts to her dad. EXCELLENT.